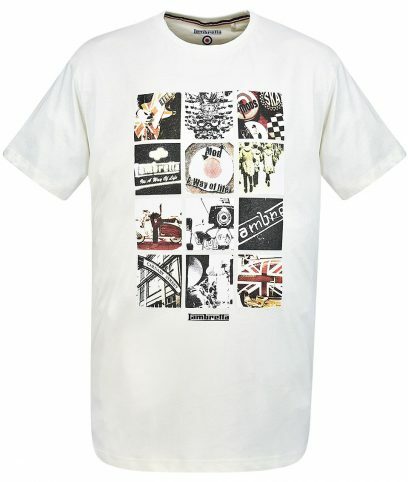 Lambretta covers a vast spectrum of styles supporting all British subcultures. 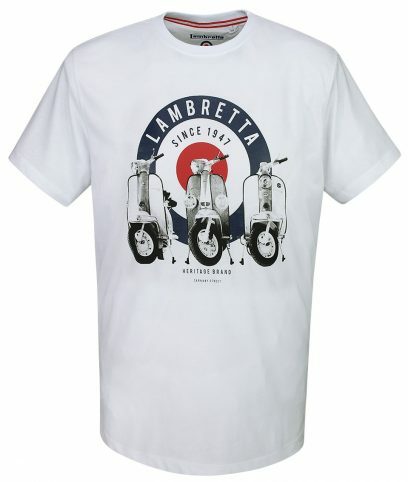 Sticking to its roots and heritage, Lambretta offers the very best in Mod clothing whilst keeping up with what is happening on the streets. 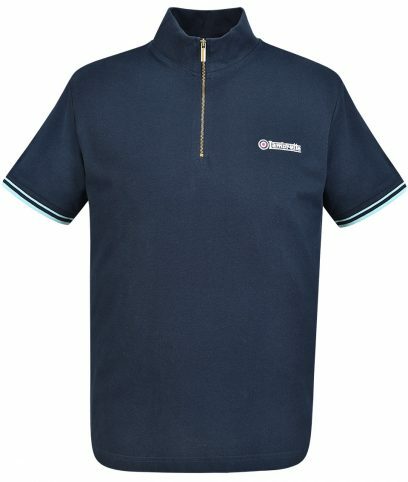 RWIK0045 Knitted polo shirt by Lambretta made from 100% cotton in a regular fit. 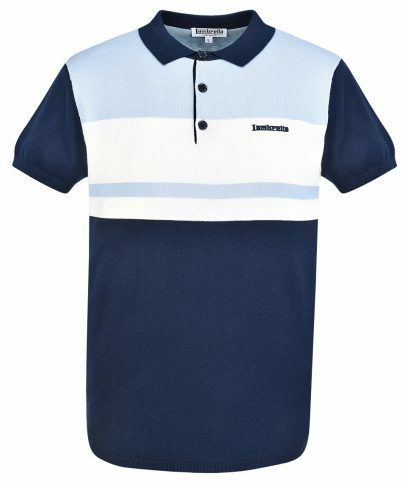 Contrast sky and white colour block on front, plain on back. 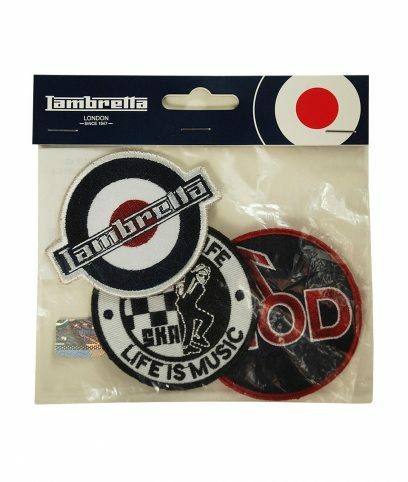 Embroidered Lambretta logo on left of chest. 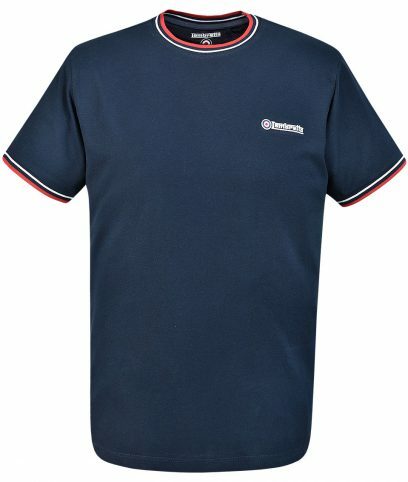 SS3262 Crew neck t-shirt by Lambretta made from 100% cotton in a regular fit. Large mod target with 3 scooters and Lambretta branding on front. 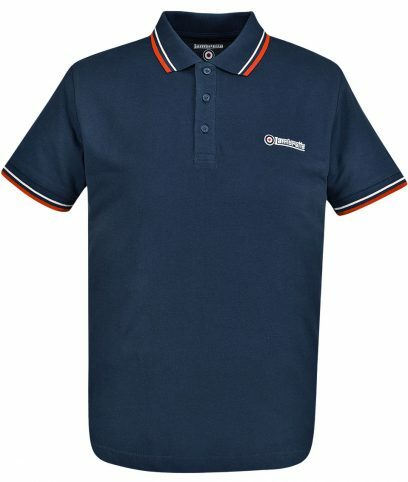 Small Mod target and logo on left sleeve. Plain on back. 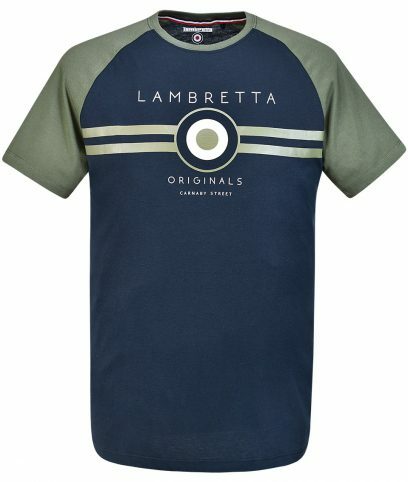 SS1605 Crew neck t-shirt by Lambretta made from 100% cotton in a regular fit. 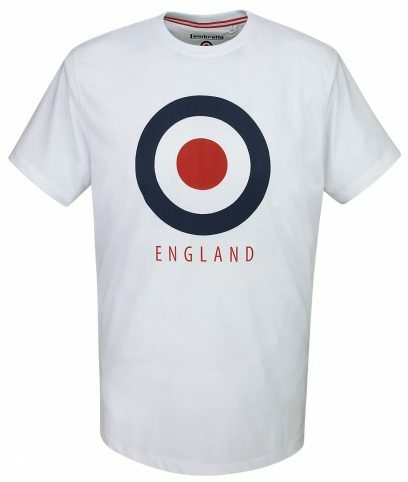 Large mod target with England wrote underneath on front. Small Mod target and logo on left sleeve. Plain on back.